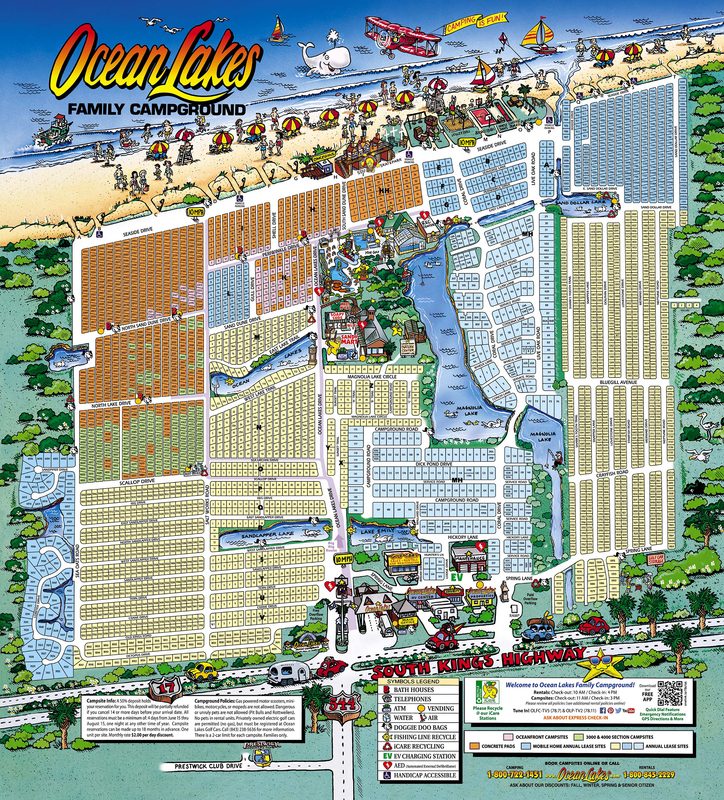 Ask the management at Ocean Lakes Family Campground what some of their biggest environmental struggles are and they will tell you: garbage, beach litter, cigarette butts, pet pollution, storm water runoff and recycling. Many of Ocean Lakes’ guests have the same concern. In August 2008, a longtime guest wrote a letter to Lance Thompson, Vice President and General Manager, about the litter she saw on the beach and the impact she knew it had on the sea life. A short time later Horry County Storm Water Management contacted area businesses about efforts to correct storm water issues and explained that pet waste was a problem and needed to be addressed in that several mile region of Horry County. Ocean Lakes’ teammates became inspired. They launched the iCare Program (see release). During 2009 the program grew quickly adding four recycling stations to the campground, something that had been abused a decade ago. The main iCare Recycling Station is located on the main drive across from the Camptown Center. Additional stations are located near the Recreation Center, the 3000 and 4000 campsite sections, the south side on Lovestone Drive at Sand Dollar Lake, on Spring Lane at the South Gate entrance and in Sandy Harbor Water Park near the lockers/restrooms (see map for recycle symbol). During 2010, guests and teammates recycled more than 59,000 pounds of solid waste, and by March, 2017 guests have recycled more than 1.2 million pounds! The iCare Program was introduced in the Ocean Lakes’ newsletters, its magazine and public relations efforts such as press releases. Coordinators from Horry County Storm Water Management and the Solid Waste Authority were excited about the iCare efforts applauding the speed in which Ocean Lakes implemented such a program.